Modernism emphasizes the dualism of “Dwelling” and “Recreation.” “A house is a machine for living in,” while ground open space is the place for recreation. But when it comes to air pollution, the changing of human aesthetics, the complexity of modern society and the homogeneity of real estate product in the market, should we break the dichotomy of “Dwelling” and “Recreation”? 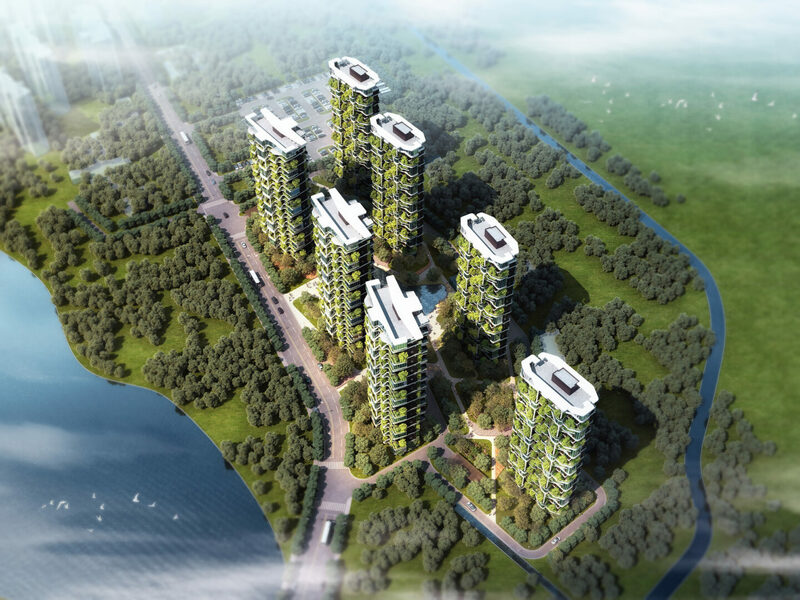 This project is located in Guoling, Zhengzhou, where the forest coverage is 68%. 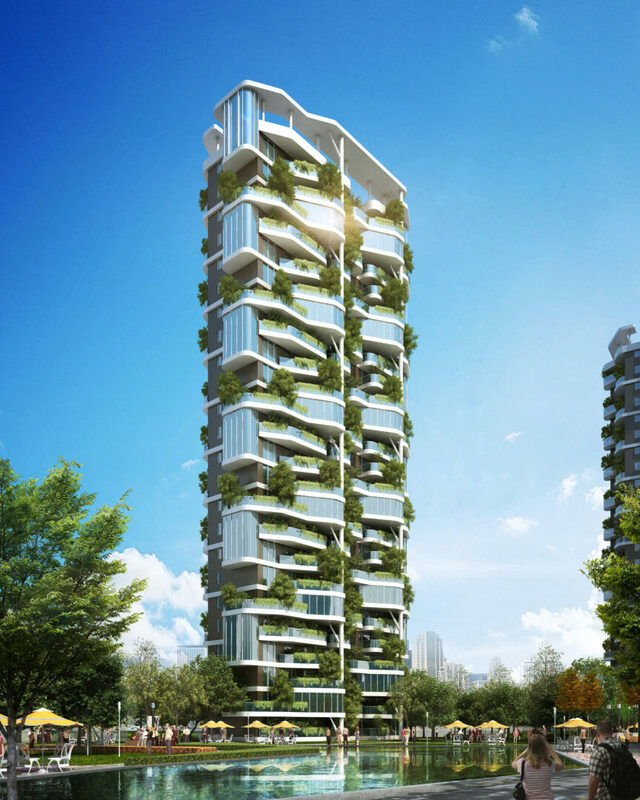 The relationship between nature and artifact has to be redefined as we imagine a high density community in place like this. In that case, we no longer follow the constraints of modernism dogma. Instead, “Dwelling” and “Recreation” become one unified experience in our design. 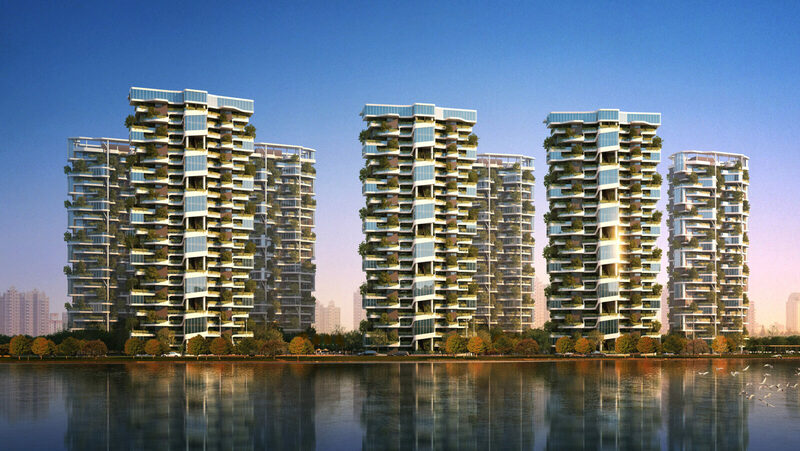 Large balcony gardens and a sky swimming pool leverage the recreation to elevated vertical levels. 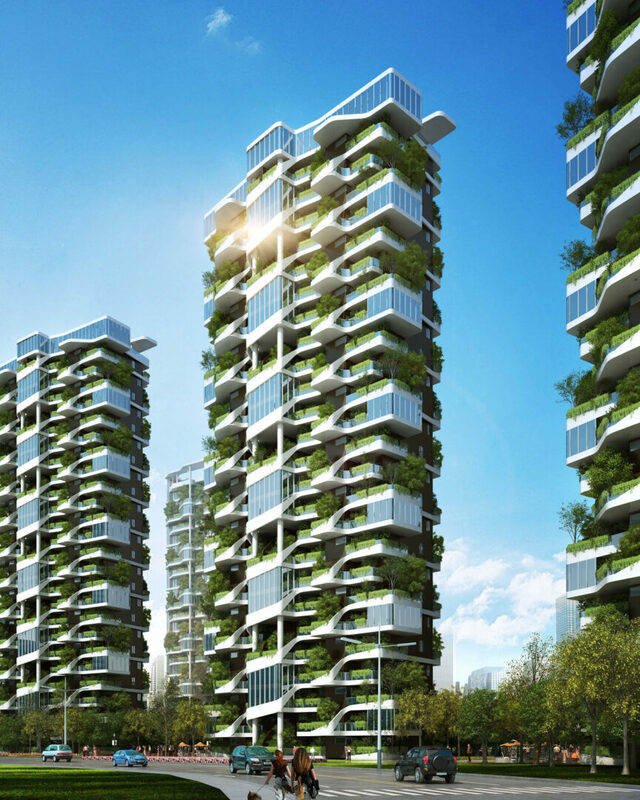 The plant, as outside building structure and elevation elements, plays a significant role in improving building thermal performance, saving energy, increasing air humidity, shielding polluted air, and creating microclimate for the community. New materials like GFRC and aluminum panel are applied in elevation design while the plant breaks the repetition of floor slabs in residential design.